In conjunction with our Main Library colleagues, the EDINA Mobile Internet project has developed a self-guided tour app using beacons for the main library. The app has been specifically designed for the Doors Open Days on the 26th and 27th of September 2015. It will allow users to explore the University of Edinburgh’s Main Library through an interactive tour enabling you to learn about the history of the building, discover the exhibitions space and find out more about the library’s varied services and world-class collections. 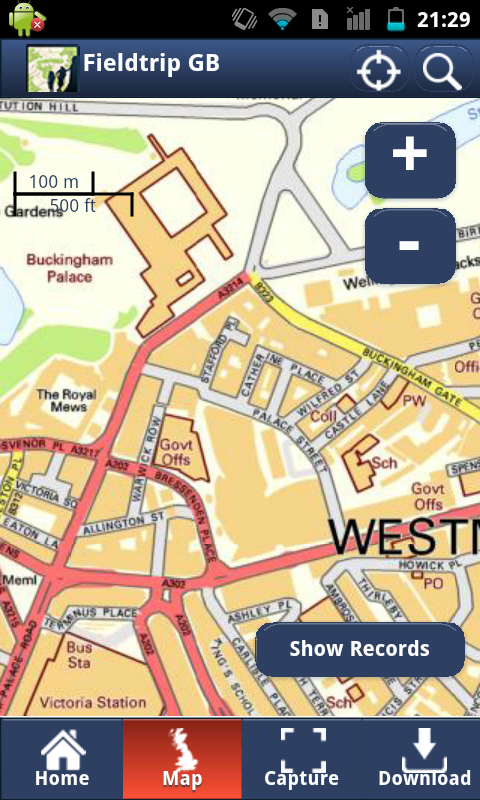 Fieldtrip GB version 1.3.2 has just been released. 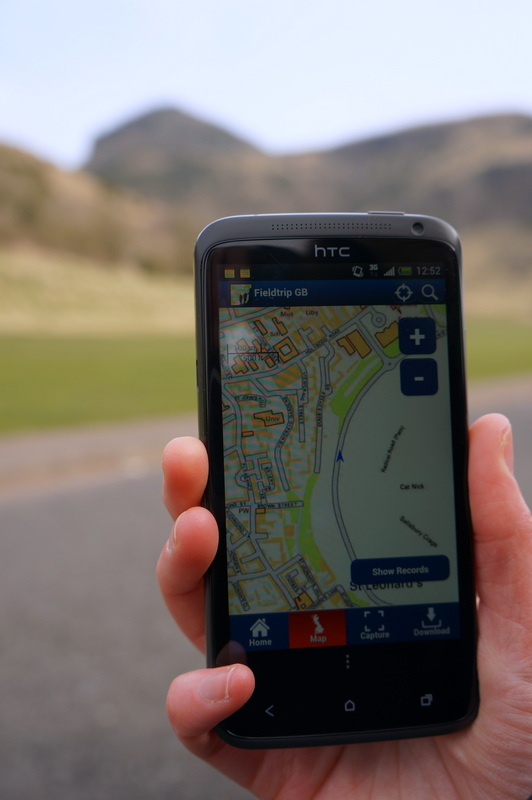 This update means that Fieldtrip GB will now support Android 4.4 (KitKat). Â If you have set the app to auto-update then you may not even notice. Â If you have a new(ish) Android device that runs KitKat and have tried to download FtGB but couldn’t find it in the Play Store, you should now be able to see it (note- still restricted to UK store). We thought we would put together a brief crib guide to help run data collection projects using Fieldtrip GB with a small group. Â The idea is to create a form and get the group to download this to their devices, then collect data before uploading it to a central place and visualising the groups data. Â This technique can be used to great effect to collect lots of data in a short period of time, or to get groups of school children to collect data on short field class exercises. 4. Login â€“ you are logging into Dropbox at this point. 20. To export, select the format and press Export. The data that is exported will reflect the filter you have applied. In most cases you will be exporting all data collected using a particular form, but you could apply a date range filter if you wanted. That’s it. Â Really quite easy isn’t it. Â Click here to download the guide as a PDF. We expect the iOS version to go through the Apple App Store Â in a few weeks. Over the next few weeks I’ll be posting to blog with details of how we implemented this app and why we choose certain technologies and solutions. Hopefully this will prove a useful resource to the community out there trying to do similar things. A brief summary. The app uses PhoneGap and OpenLayers so is largely using HTML5 web technologies but wrapped up in a native framework. 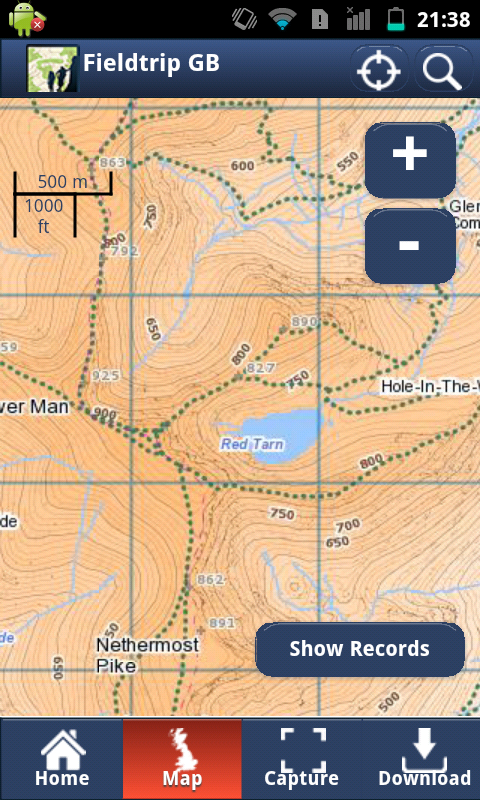 The unique mapping uses OS Open data including Strategi , Vector Map District Â and Land-Form PANORAMA mashed together with path and cycleway data from OpenStreetMap and Natural England. 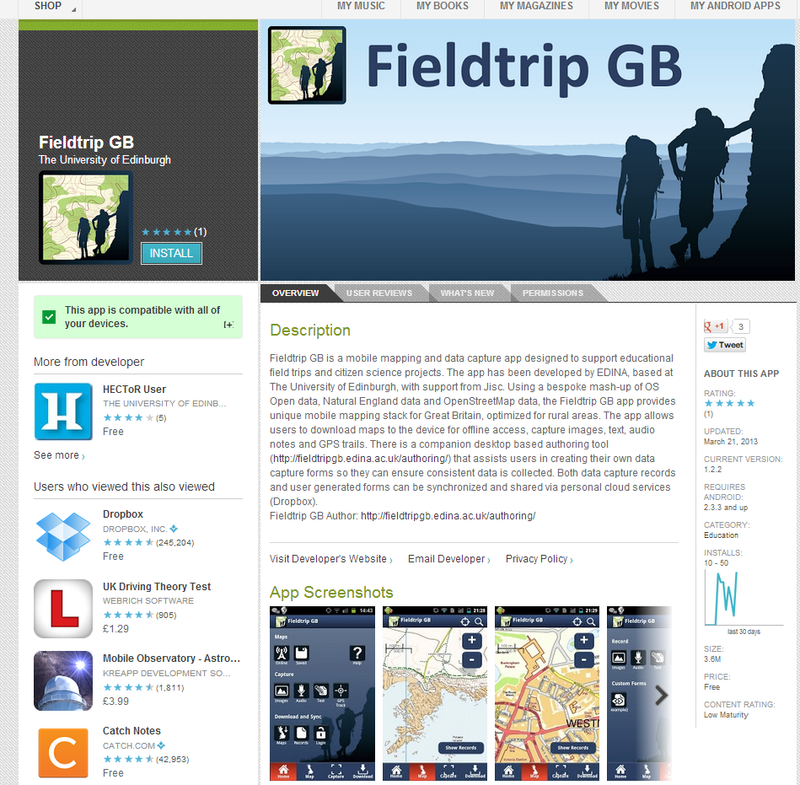 Fieldtrip GB is now available to download from the GoogleÂ Play Store.Â This is hugely exciting. Â Fear not iPhone users, we haven’t forgotten about you. Â We are just about ready to submit the app to the iTunes App Store and will be waiting for it to be approved. This could take up to a couple of weeks. We will let you know when it is approved and ready to download.